SnowHawk LLC is proud to work alongside a diverse group of clients and partner organizations — and we’re happy when they are excited with what we accomplished together. Here are a few testimonials for your review. Also, be sure to visit our Facebook page to hear more about our latest news, what we do and see how people respond to our trail projects, training activities, carpentry, and woodworking. I am consistently impressed with Lew’s trail skills and his ability to get high-quality work done efficiently. He’s also able to work well with so many different kinds of people and personalities- from students to volunteers to other professional staff- in all cases, Lew is an excellent communicator, and an enthusiastic but patient instructor. 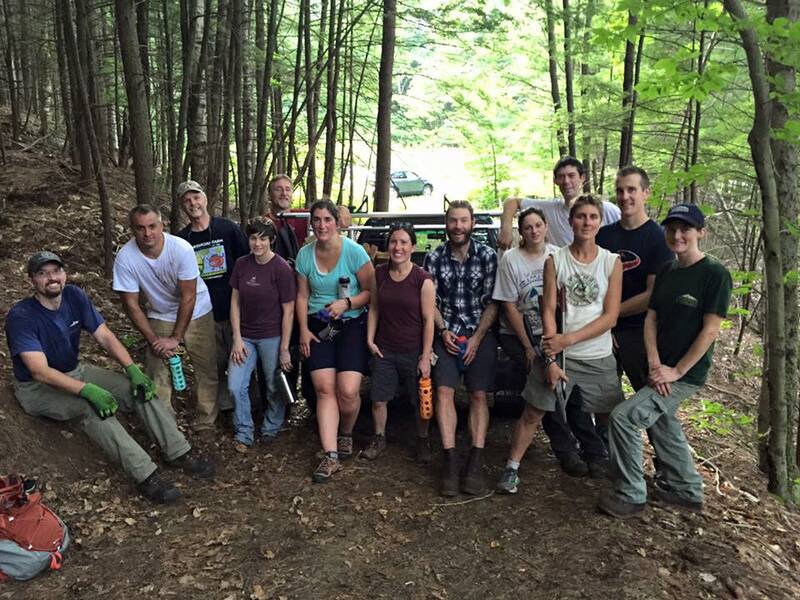 Lew was known to the SRK Greenway Coalition through his work with the Student Conservation Association and his leadership with the Monadnock-Sunapee Greenway Trail Club. SRKGC called on Lew to teach adult and teenage volunteers how to assess an eroded trail and how to select sites and techniques to move water off hiking trails. He came prepared with tools and insights with an emphasis on safety. First and foremost, Lew proved to be a pleasure to work with as a project planner and instructor. He was both knowledgeable and skillful when assessing our requirements, planning the day workshops, and when engaging with and instructing volunteers of varying abilities and interest. 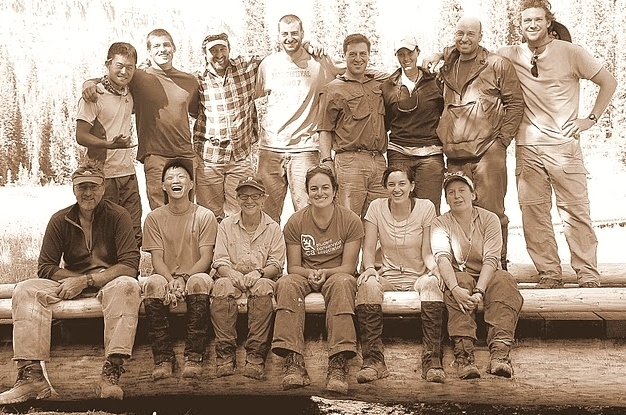 Lew brings a wealth of technical trail building and teaching experience to the table and is able to effectively communicate complex concepts to his students. Lew empowered his students to learn and try new things in a safe environment, while simultaneously building a high quality product. Participant feedback was overwhelmingly positive about the breadth of Lew’s knowledge and his skill as an educator. SnowHawk LLC comes at trail building with a keen sense of artistic design and user experience that makes a new trail look 200%. The added finishing touches of blending the trail into its environment make it seem like it has always been there. We built our trail with volunteers – college students, kids, and retirees and it looks nothing short of professionally done. Lew was with us each step of the way, driving down for a site visit beforehand, organizing logistics of tool requirements, volunteer management and getting the trail built. We’ve heard nothing but rave reviews on the new trail, from the volunteers who helped build it, to the folks who walk it daily. It has seen regular use in a very popular conservation area, and is holding up great! We will be working with SnowHawk, LLC on future trail design, building and carpentry projects without a doubt. Thanks for the good work. The parking is a nice improvement and the signboard looks great. I think both will serve the hiking public well for decades to come. The craftsmanship was excellent, I like the materials…and the finished product was as advertised. It is a nice way to start spreading the word that we have a conservation success on the very near horizon. I also like no-drama contractors. I say build me something and here is my budget. It gets built when I need it and I get a bill. How good is that?